Analysis of 148,000 Real MPG fuel reports by HonestJohn.co.uk has shown hybrids to be the most misleading when it comes to on-the-road economy, with just one in 39 cars achieving their advertised MPG. The Mercedes-Benz C-Class C350e is the UK’s worst cars for Real MPG, delivering just 37 per cent of its official fuel economy, while the BMW 3 Series 330e and Volkswagen Golf GTE are the second and third worst with a respective 37 and 38 per cent. The Mitsubishi Outlander PHEV (42 per cent) and BMW 2 Series Active Tourer 225xe (56 per cent) complete the bottom five. Promoted as eco-friendly and efficient, HonestJohn.co.uk found that a typical hybrid returns 70 per cent of its advertised MPG. The gap between advertised and on-the-road MPG is made all the more profound by the fact that fuel prices have risen every day since the end of March, adding more than 8p to a litre of fuel, according to RAC Fuel Watch data from 26 March to 23 May. The Lexus GS450h is the best hybrid in the UK for Real MPG returning an average of 84 per cent of its advertised economy. The Lexus GS450h is the best hybrid for Real MPG with a typical model returning 84 per cent of its advertised economy. 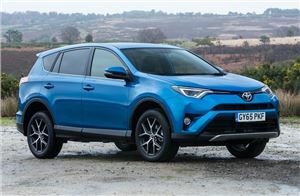 In second place is the Toyota RAV4 Hybrid 2WD (79 per cent) followed closely by the Toyota Yaris 1.5 VVT-I Hybrid (78 per cent). The final entries in the top five are the hybrid versions of the Kia Niro and Toyota C-HR with both returning 77 per cent. One of the reasons new cars have performed increasingly poorly is because, since 2015, car manufacturers have been fined if the corporate average CO2 emissions of their cars exceeds 130g/km according to MPG and CO2 laboratory tests. To avoid the fines, vehicles are increasingly optimised for the laboratory test at the expense of reality. The NEDC (New European Driving Cycle) test for new cars was replaced by the Worldwide Harmonised Light Vehicles Test Procedure (WLTP) in 2017. However, while WLTP should be more reflective of real world driving conditions and involve longer distances and higher speeds than the old NEDC system, it will not apply to the majority of new car registrations until September 2018. 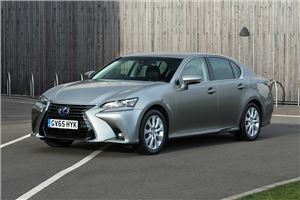 Stylish and efficient, the Lexus GS450h is the UK’s best hybrid for Real MPG with an impressive average of 84 per cent. Refined and spacious, the large Lexus returns almost 40mpg, which is just a handful of miles short of the official 45–46mpg. Factor in the luxurious interior and low CO2 emissions and it’s easy to see why the GS450h is such a hit with family buyers and company car drivers. The Toyota RAV4 is a comfortable and practical long distance cruiser. It is also honest when it comes to Real MPG, with the Hybrid 2WD version returning at least 79 per cent of its advertised 57mpg. That makes the RAV4 Hybrid one of the most efficient cars in its class, while its large cabin, high equipment levels and comprehensive warranty also make it ones of the very best for value. Averaging at 58mpg in real world driving conditions, the little and likeable Toyota Yaris has lots to offer money savvy drivers. 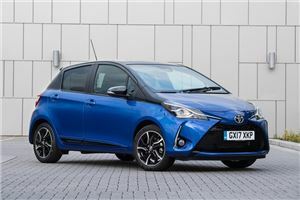 Admittedly, the cabin isn’t as plush as those found in the Fiesta or Ibiza, but the Yaris trumps its rivals on value and build quality. The hybrid powertrain is also silky smooth, which makes this little Toyota a relaxing place to while away an hour or two on the motorway or in town. 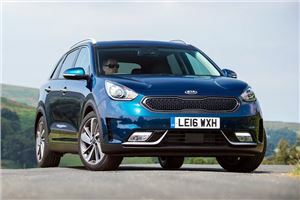 With a name like Kia Niro you’d be forgiven for thinking this car majors on performance rather than economy, but in reality nothing could be further from the truth with the Niro hybrid delivering family-friendly economy and practicality. Indeed, for those who prioritise running costs over performance, the Kia Niro should be the default choice with Real MPG drivers getting almost 54mpg. 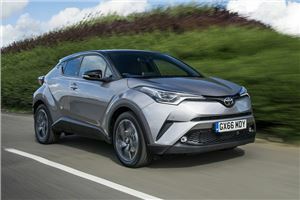 The quirky and economical Toyota C-HR 1.8 Hybrid petrol returns more than 57mpg on-the-road – a figure that puts it on par with cars half its size. Admittedly, it’s expensive to buy, but the angular crossover is great to drive and backed by Toyota’s comprehensive five year warranty and steadfast reputation for build quality. there is a lot of dicussiion on the BMW g30 forum about the 530e... people spends 45k on a car and get excited to get 20mi electric range... which is roughly 2 litres of diesel on my 530d... or £2.80. ... or a coffee in London a day .... and for that, they lost 1/3 of their boot and some are now wondering how the holiday in France will go with a boot the size of a golf with less practicality. PHEVs are nothing but a tax fiddle and should be condemned in the same tones as VWs with their "cheat device". Well, that's a bit sweeping. My PHEV charges from my house's solar panels, and a tank of fuel lasts months! And no mention of the Prius, the number one hybrid on the road . With plug in hybrids the achieved average MPG very much depends on you mix of driving. I drive a Vauxhall Ampera the official MPG is 235MPG. I have had the car nine months and to date I have averaged 230MPG. About 80% of my motoring is electric. The car's stated electric range is up to 50 miles, however I have never achieved more than 47, average is 40 to 45 and in the winter 30 to 40, I am sure you could achieve 50 in ideal conditions but this is real world driving. I achieve 80% electric because most of my journeys are less than 30 miles so all electric, but then I will have the occasional journey which is 150 miles so mostly petrol which brings the average down. If you do a lot of long distance driving you will achieve no where near the stated MPG, but there will be other drivers who achieve far higher MPG. My silky smooth old E class 3.2 merc diesel estate returns a cool 40MPG with stunning performance. A smart similar one might cost £2,500 to £3k. Carries 5 in wonderful comfort and supreme safety. Even more MPG is available for very light drivers -almost 50! mpg IS readily do-able. Quite why people pay multi thousands with attendant brick-like depreciation for some piece of ultra modern tinware beats me! Get an E class diesel estate, -lasts forever and you'll walk away unscathed from all but the most severe accident! I agree, unless you live in the middle of London, where having a car is a chore anyway, most of the Hybrids are a waste of time. MPG is going backwards due to all the stupid regulations, and pollution output is going up!! I owned an old 1980's Audi100 Avant 2.2 petrol that returned well over 50mpg on a motorway run, and never less than 42mpg on the 100m start/stop job I had at the time (debt collector). (and 0-60 in 8.5 seconds). I hear that the government will ban any plug in hybrid that can not achieve a range of 50 miles on leccy alone. This will devalue many of the plug-ins that are on sale today. Don't understand all this negativity. I have a 2017 Hyundai Ioniq and get around 68 mph on urban driving. Longer distance including motorway driving at 70 mph I can get 75 mpg. And this is with an automatic car. Never achieved anywhere near these figures with previous diesel cars. What percentage of non-Hybrid cars meet their published figures?